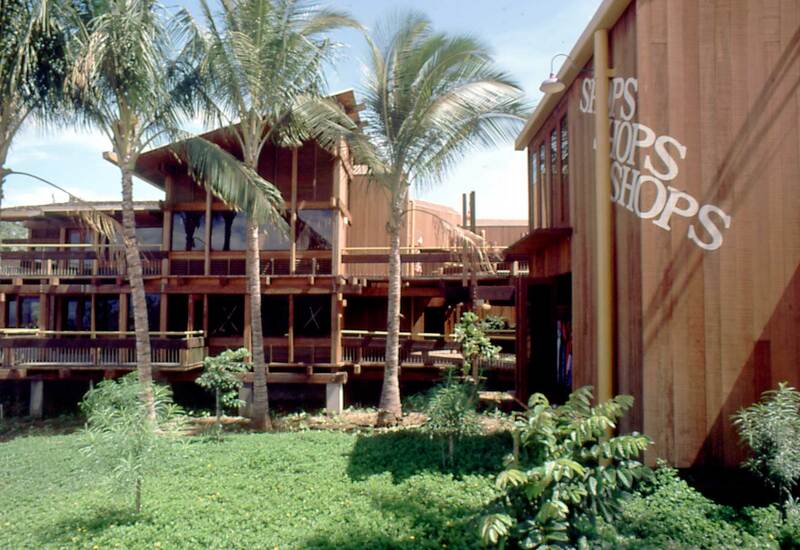 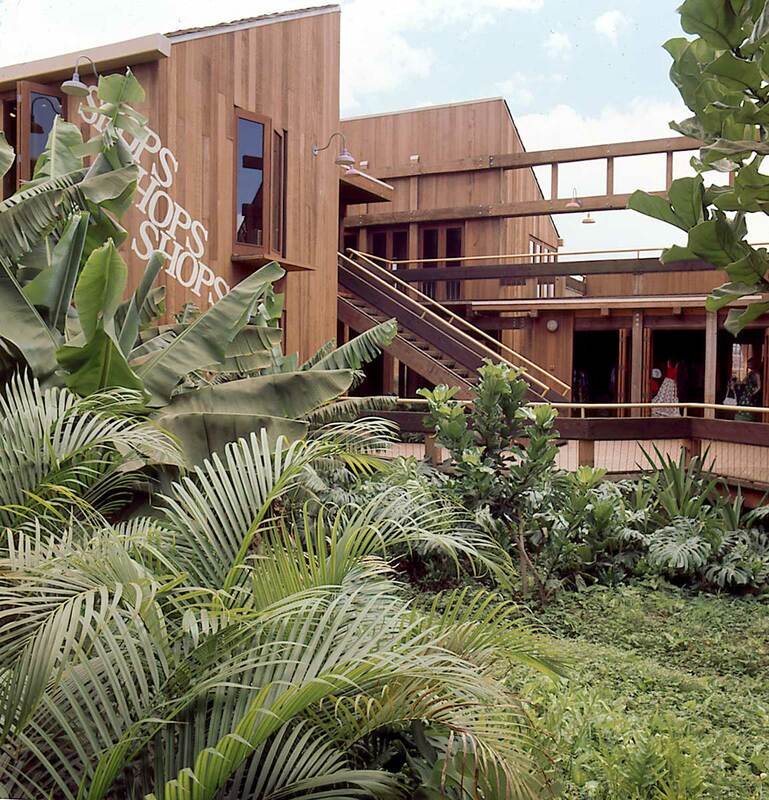 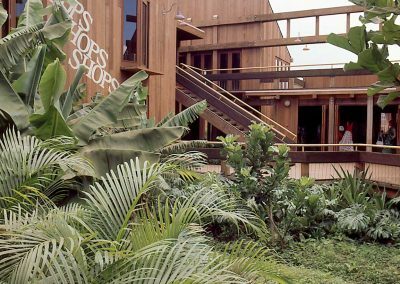 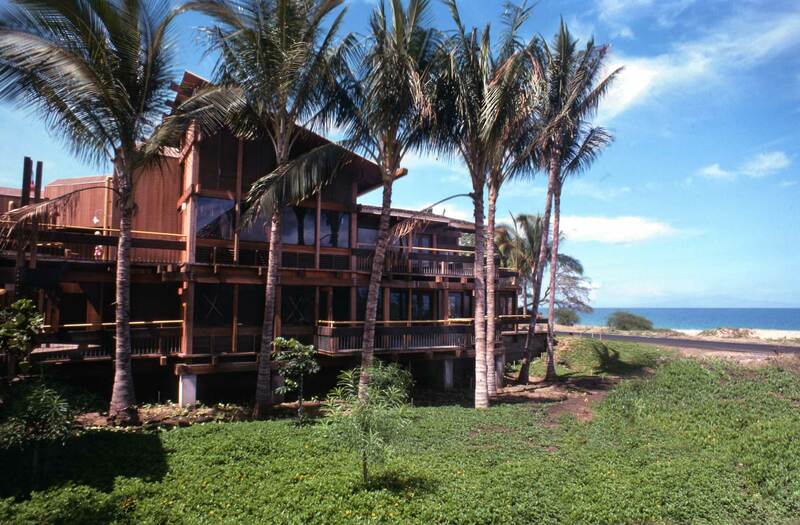 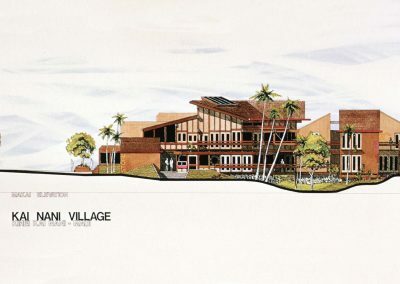 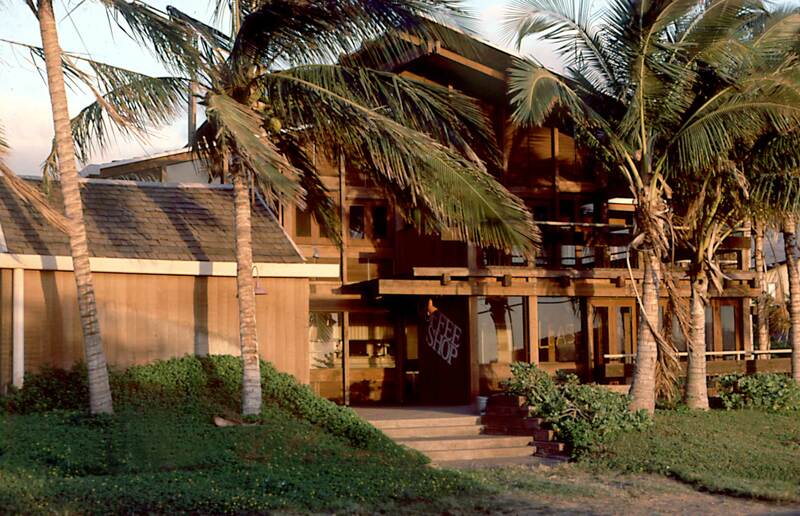 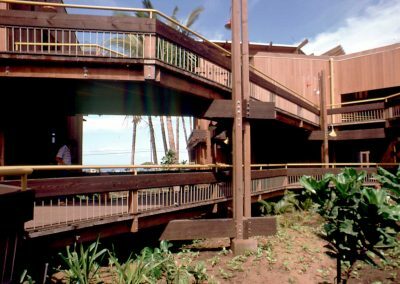 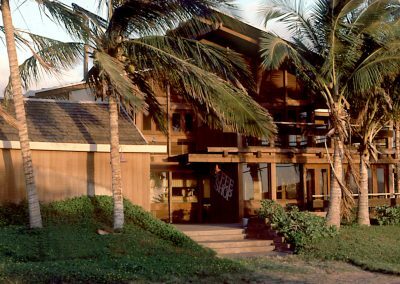 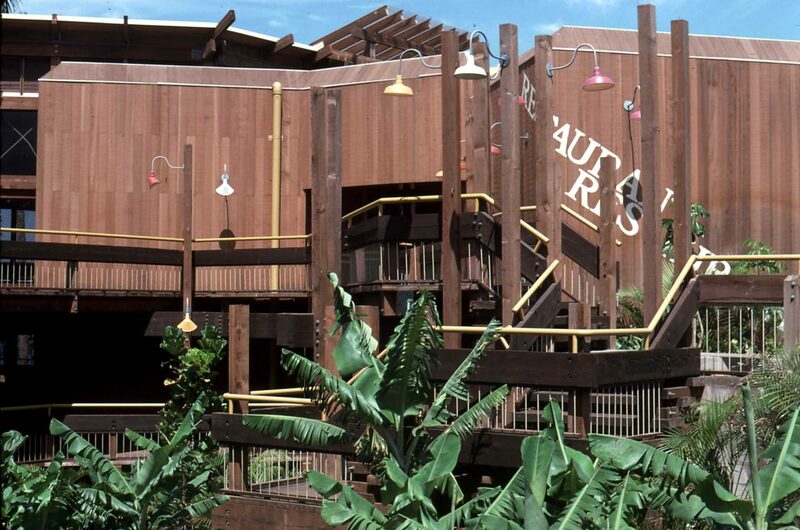 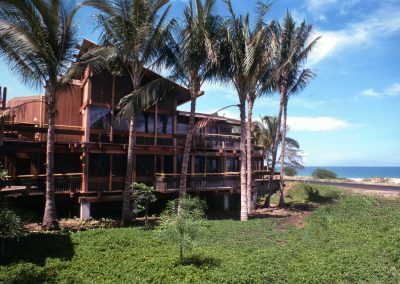 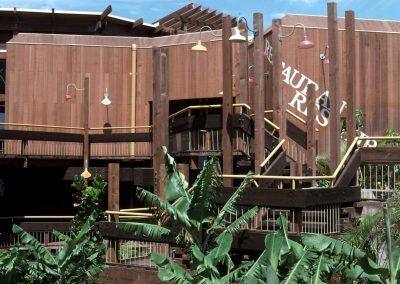 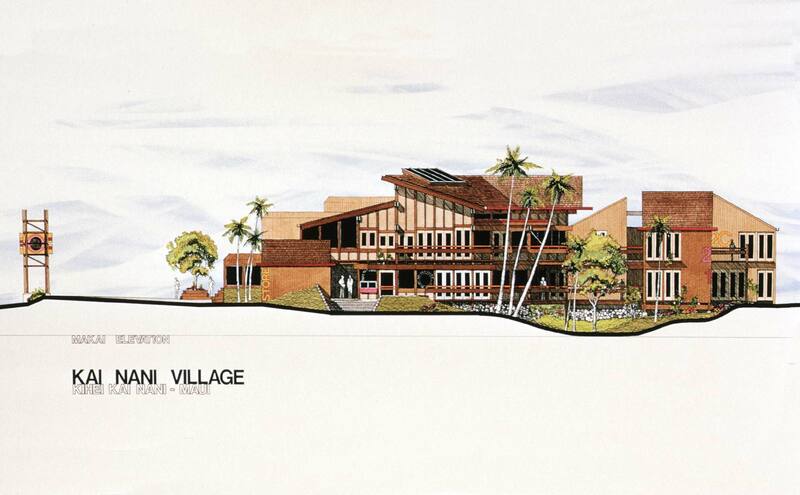 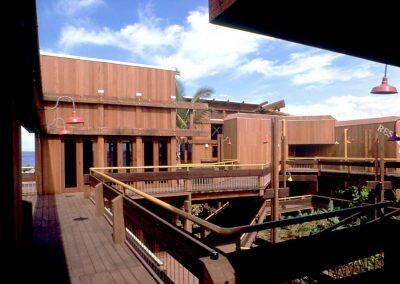 Design of a heavy timber wood ocean front retail resort complex of five structures spanning a natural canyon. 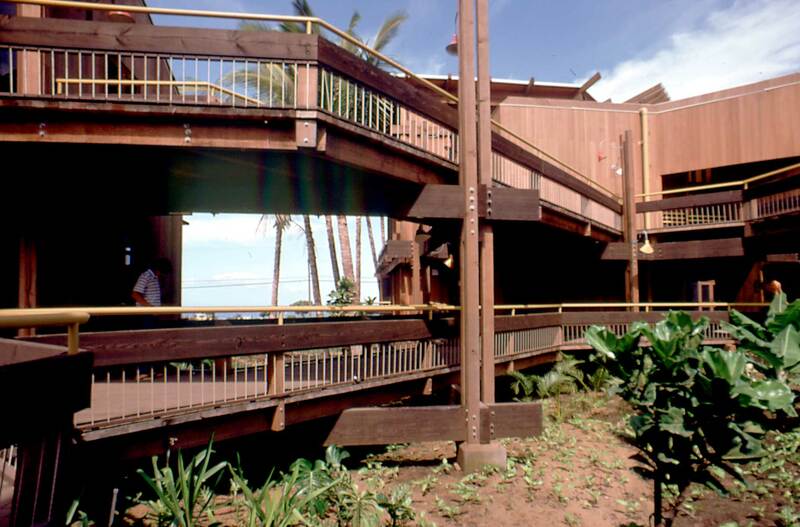 Dining and bar bridges span the canyon connecting to a restaurant, spa and health club on each side. 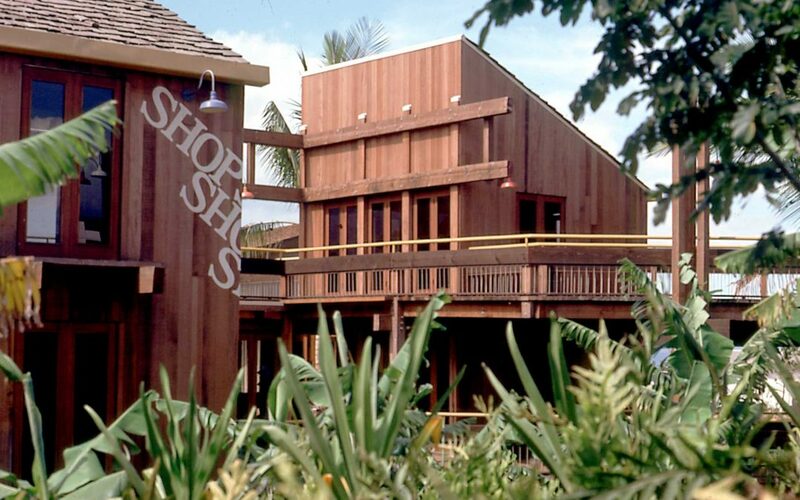 Resort housing, beach rentals, and retail sales are on the beach level. 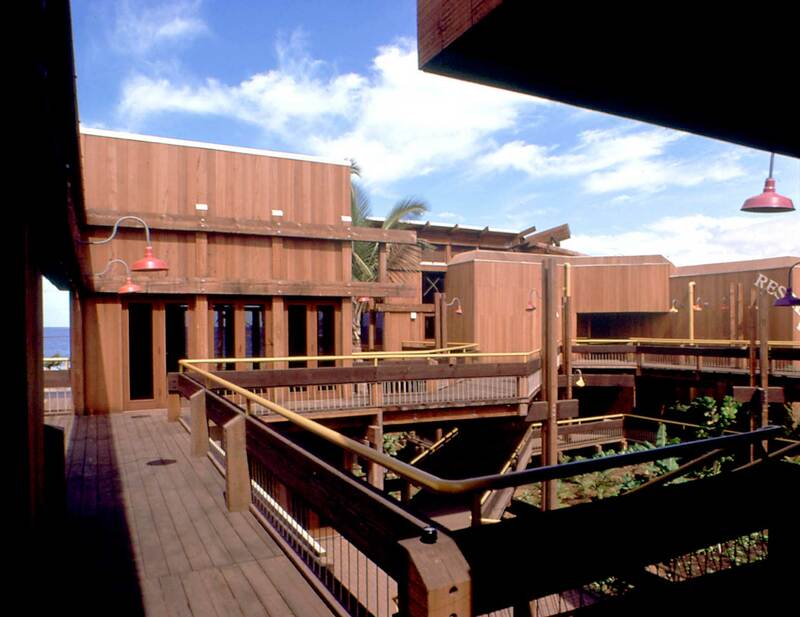 Significance: Heavy timber Port Orford cedar and redwood Post & Beam design was the first of its kind in Hawaii convincing architects that wood was a viable construction material if good detailing and proper wood species were specified that could defeat the weather and termites starting a resurgence of the use of wood in Hawaii away from commonly used concrete block.